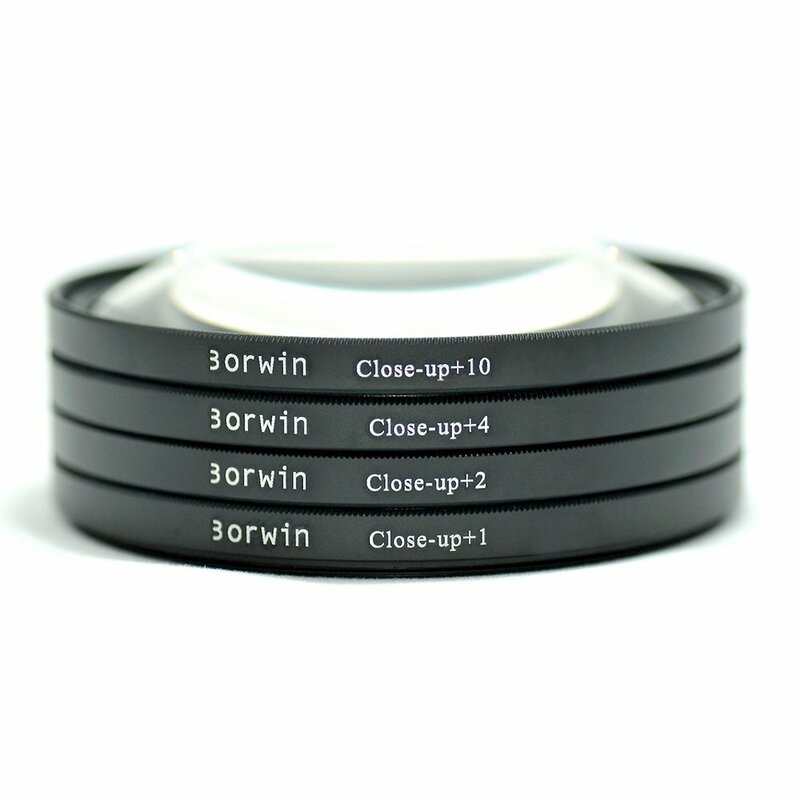 Borwin close-up filters are alternative ways to achieve macro photography without requiring a specialized and expensive macro lens. They work identically to reading glasses, allowing any camera lens to focus more closely. Several close-up filters may be used in combination. Extreme close up or macro photography can be achieved using +10 diopter, either alone or stacked up with other diopters. To find out your lens' filter size, look out for marking (On your lens or lens cap) like ⌀72, which means the filter size is 72mm.